It’s actually surprising that laptops with built-in 4G are not more common. We all use mobile data on our smartphones, and most tablets have SIM slots for this reason. 4G and 3G USB dongles are extremely common and you’ll often see people at cafes or in vehicles trying to get some work done outdoors. Those who don’t have dongles can tether their smartphones with a wire or over Bluetooth. With the cost of cellular data crashing over the past few years, there’s no reason not to. All of this makes us wish we could just slip a SIM card into our laptops so that we’re automatically and permanently online. Still, laptop manufacturers simply aren’t adding cellular connectivity as a feature to laptops in India, not even on premium Ultrabooks where cost isn’t much of a factor, ports are disappearing, and mobility is everything. Qualcomm has promoted cellular data as a key value proposition for ARM-powered Windows laptops, but those haven’t made any impact on the market yet. Some manufacturers only offer cellular data to corporate customers who buy in bulk. Effectively, a huge market lies underserved and unsatisfied. To our great surprise, it isn’t a big international conglomerate that’s picking up this opportunity, but iBall, the Indian affordable gadgets and accessories brand. The new iBall CompBook Netizen officially costs just under Rs. 25,000 but is listed at just Rs. 16,990 at its exclusive retailer, ShopClues. 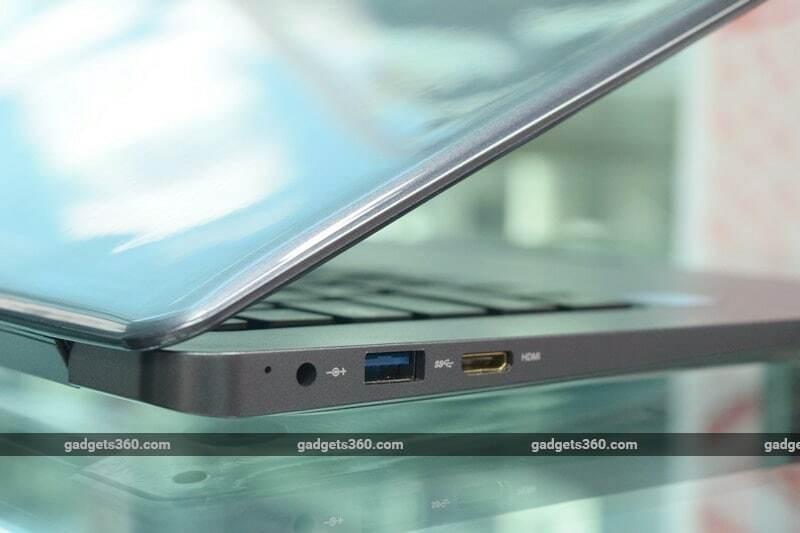 The CompBook Netizen is billed as India’s first “always-connected PC”. This is the specific label that Microsoft, Intel, AMD, and Qualcomm use ultraportable PCs that boot up instantly and last multiple days on a single charge. 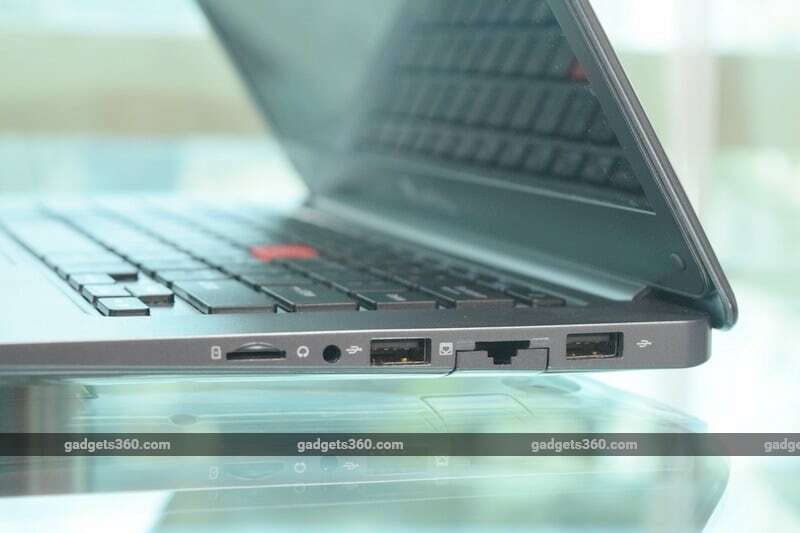 Let’s see what iBall has brought to the market, and whether it’s the ideal laptop for work and entertainment on the go. 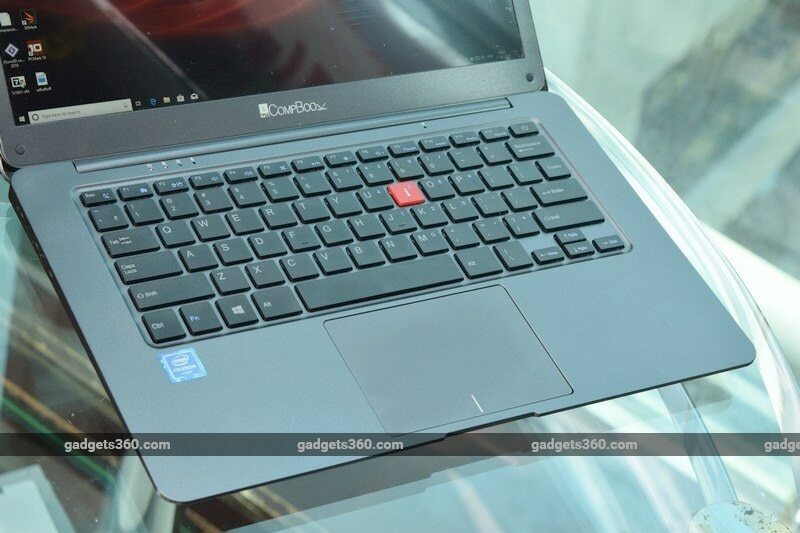 We’ve reviewed quite a few iBall CompBook models ranging in price from Rs. 14,000 to Rs. 22,000, and they’ve all been pretty much identical in terms of design and material quality. The new CompBook Netizen doesn’t change much. It’s made of glossy grey plastic with a speckled texture on the top and bottom. It doesn’t look cheap at all from a distance, but definitely feels plasticky when you actually use it. One improvement we noticed is the metal logo on the lid, which looks better than the screen printing that iBall has used in the past. The CompBook Netizen is relatively slim and portable at 24mm in thickness and 1.32kg. There are no vents since the low-power Intel Celeron processor can run without a fan. The body isn’t very rigid, and both the top and bottom flex easily with very little pressure applied. The hinge is stiff and you’ll need two hands to open and close this laptop. We were happy to see relatively narrow plastic borders around the 14-inch screen, but again, there’s a lot of flex to the lid and the display warps when bent even a little. Our review unit appeared to have a glossy plastic screen protector applied, but it was loose around the edges and corners. A few annoying air pockets developed even in the centre of the screen as we used this laptop over several days. iBall’s signature red ‘i’ key is a distraction in the sea of grey plastic surrounding it, and we wish the brand would drop this little quirk. The island-style keyboard is otherwise reasonably well laid out and even has Fn-key combinations on the right acting as a virtual numberpad. The one problem here is the power button in the corner, which is easy to press by mistake when aiming for the Backspace key. There’s no delay or resistance to prevent you from putting the CompBook Netizen to sleep inadvertently. On the left, you’ll find the power inlet, one USB 3.0 port, and a Mini-HDMI 1.4a video output. There are two USB 2.0 ports, an Ethernet port, 3.5mm headphones and mic combo socket, and a microSD card slot on the right. You’ll find a webcam above the screen, though its resolution is just 640×480 pixels. Two mics just above the keyboard promise stereo audio recording. The bottom of this laptop is actually quite interesting. There are two flaps, each secured by a single screw. The larger of the two lets you add your own 2.5-inch SATA storage device. Just like with the CompBook Premio v2.0 and CompBook Marvel 6, you get a little kit in the box with the required screws and bracket for a 2.5-inch hard drive or SSD. A printed leaflet warns us that we can’t install an OS and boot off this drive, and USB devices might not function normally anymore because of the additional load on the device’s battery when a drive is installed. However this time we’re more interested in the second, much smaller flap. This is where your SIM card goes. We were surprised to see that the slot requires a Mini-SIM – what most people consider to be a full-sized SIM. These were normal before Micro- and Nano-SIMs were introduced, but we haven’t seen this standard in use in years. You’ll have to use an adapter, or simply not punch out your SIM from its surrounding plastic if you’re using a brand new one. Still, this isn’t ideal, because an adapter could easily snag on the springy contact pins within the slot. Strangely, there’s a label indicating that there’s a microSD card slot under this flap, but there really isn’t any such thing. It seems that iBall has used a prefabricated receptacle designed for some other purpose. You’ll have to make sure the laptop is shut down before inserting a SIM, or it won’t be recognised. The construction quality and overall feel of the iBall CompBook Netizen are not great, but we don’t mind this so much at the Rs. 16,990 price point. The Intel Celeron N3350 processor is just about as entry-level as a CPU can get these days. It’s somewhat dated and is based on the Atom-class Apollo Lake platform from 2016. It has two cores without Hyper-Threading and runs at a base speed of 1.1GHz with a boost speed of up to 2.4GHz. It also has a basic Intel HD Graphics 500 integrated GPU which is far too weak for gaming but does fully accelerate H.265 and VP9 video. One pleasant surprise is that the 14-inch screen has a full-HD 1920×1080-pixel resolution. This is a major step up from the 1366×768 of previous iBall CompBook models. Viewing angles aren’t bad at all, but colours are a bit dull and we noticed a bit of uneven backlight bleed at high brightness levels. You get 4GB of RAM and 64GB of embedded storage. The microSD card slot lets you add up to 128GB of storage, and there’s the aforementioned SATA bay if you choose to use it. There’s Wi-Fi 802.11n and Bluetooth 4.0 for wireless connectivity in addition to 4G. The battery capacity is 37Wh and you get a simple wall-wart adapter in the box. The CompBook Netizen comes with Windows 10 Home and no preloaded software other than a configuration shortcut for the cellular modem. This is important because iBall has used a strange combination of hardware and software to get the 4G connectivity up and running. 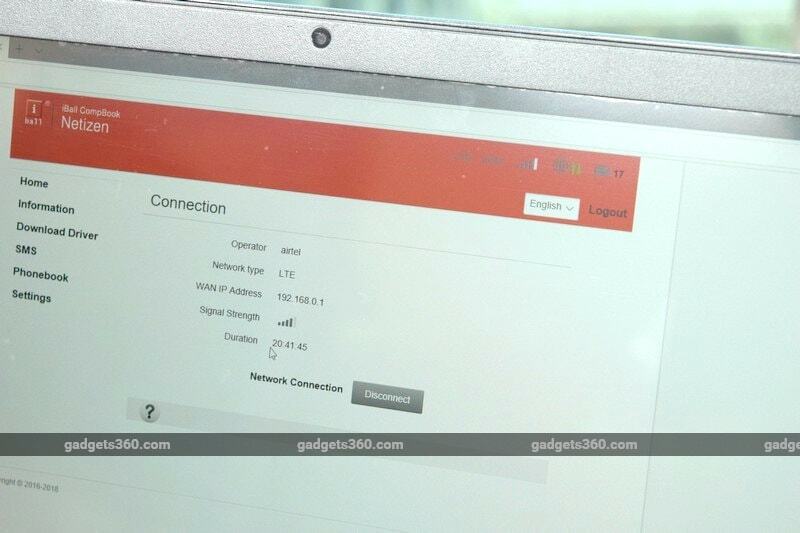 Windows 10 does support cellular modems and lets you configure them like any other network connection, but iBall has used some kind of internally wired USB adapter that shows up as a virtual Ethernet connection. You can’t use the usual Windows 10 Settings panel. Instead, the desktop shortcut opens your default Web browser to http://192.168.0.1 which is an internal configuration page. You have to sign in with the default password (“admin”) which is printed on a very tiny leaflet included in the box. This is the only way to check your signal strength, connection type, and status. There are some basic settings here – you can (and should) change the default password, choose whether to fall back to 3G and 2G networks, set data limits by volume or duration, and manually configure an APN (Access Point Name). You can also send and receive SMS messages and manage your SIM’s phone book, but there didn’t seem to be any cellular voice capabilities. Let’s start with the cellular data functionality, which is likely the main reason anyone would buy this laptop. Our iBall CompBook Netizen review unit initially did not recognise SIM cards from two different service providers despite multiple attempts and reboots. However, a day later, everything worked without a hiccup. We were online automatically with a steady 4G connection. Thankfully you don’t need to sign in to the browser-based tool every time you need to get online. There’s no Windows system tray icon telling you when you are or aren’t connected, or what your signal strength is. You’ll also have to enable and disable the cellular connection manually – it stays on along with any Wi-Fi network you’re connected to because Windows handles it like a wired network connection. Even when you’re within range of your preferred home or office network, 4G stays active and it’s impossible to tell if it’s being used in the background. If you have a low daily or monthly data limit, you might want to manually turn off the cellular connection through the Netizen utility or by disabling the virtual Ethernet adapter altogether. That said, cellular data connectivity worked very well. We used the CompBook Netizen in a windowless office, on an open balcony, and in various rooms in a house, and we only rarely saw the Netizen utility’s status indicator showing us 3G or EDGE rather than 4G. We began to take cellular service for granted, just like we unconsciously expect our phones to work. There’s no waiting, no configuration, and no dongles to worry about. In that sense, the CompBook Netizen is a success. However this is still a very low-end budget notebook, and general performance was not great. Windows 10 boots relatively quickly but is sluggish. With more than five or six tabs open in Microsoft Edge, we found that there were occasional momentary freezes and frustrating stutters when trying to do something as simple as clicking the browser’s address bar to type a URL. It often took several seconds just to open a simple JPEG image saved on the device’s internal storage. If we stuck to the absolute basics, we were okay. Benchmark tests illustrate just how weak the Intel Celeron processor is. We got just 44 and 81 points in CineBench R15’s single-core and multi-core tests respectively. POVRay took 18 minutes, 18 seconds to render its internal benchmark. PCMark 10 gave us 1,056 points. It took a staggering 41 minutes, 2 seconds to compress a 3.24GB folder of assorted files, and 13 minutes, 16 seconds to transcode a 1.3GB AVI video to H.265. Gaming is completely out of the question, as 3DMark illustrated with just 311 points in the basic Fire Strike scene. We tried the Unigine Valley simulation at 1280×720 with all quality settings at their minimum, and still got only 9.1fps. Finally, we ran CrystalDiskMark to check how well the embedded storage performs, and got sequential read and write speeds of 148.9MBps and 121.1MBps respectively, with random reads and writes coming in at 23.02MBps and 13.13MBps respectively. The keyboard keys are not too stiff or shallow. The arrow keys are a little cramped but overall typing comfort is actually quite good. We also found the trackpad adequate in terms of comfort and sensitivity. The screen turned out to be one of the highlights of the CompBook Netizen, with its full-HD resolution. Videos looked crisp and text was very readable. The speakers are just plain awful, though – sound is screechy and tinny with no depth or richness at all. As for the 480p webcam, you’re better off forgetting it’s even there. Battery life is one of the tentpoles of the always-connected PCs that Intel, Qualcomm and Microsoft promote. 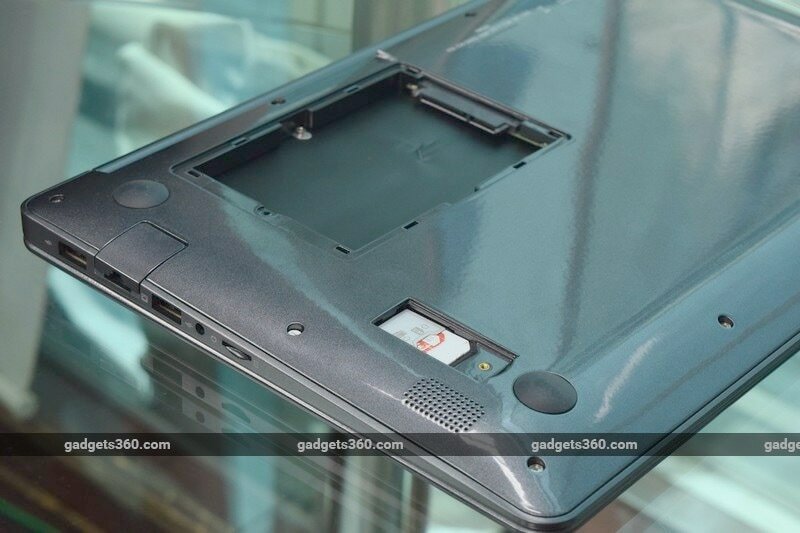 The iBall CompBook Netizen ran for 4 hours, 16 minutes in the intense Battery Eater Pro test. We did manage to get through 12 hours of use and had about 20 percent left over at the end, but we naturally kept things light with only basic Web surfing and a bit of video streaming. iBall clearly sees a market opportunity, and always-on cellular connectivity genuinely could be a game-changer for businesspeople and frequent travelers. The way that iBall has patched hardware and software together for cellular connectivity is an excellent example of ingenuity — or jugaad as we like to call it in India — but it doesn’t make for a very polished end-user experience. The CompBook Marvel 6 had the same Celeron CPU and delivered roughly the same level of performance priced at Rs. 14,299, so the addition of cellular connectivity, a better screen, and twice the storage for just Rs. 3,000 more is an excellent deal. If you want a super-affordable laptop and need to be online a lot, chances are you’d be willing to deal with Bluetooth tethering or an external dongle to save some money, but if this price works out for you, it will mean one less thing to carry around and potentially lose. The overall performance of the CompBook Netizen means that not everyone will want to or be able to use this laptop to get their work done. 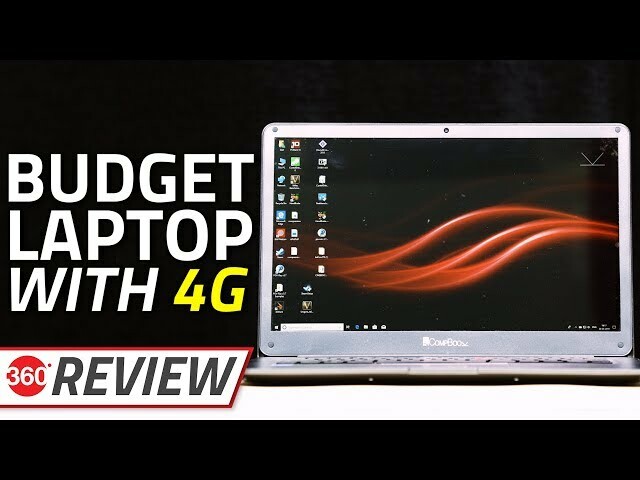 Sadly, even if you’re willing to spend more for a more powerful and more polished laptop, chances are you won’t find many options with built-in 4G. With data plans more affordable than ever, the CompBook Netizen could be a very interesting choice for a lot of people, and we hope big brands get the message.